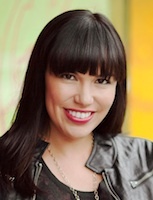 In this month's guest blog post, First Nations writer and social entrepreneur Lisa Charleyboy exudes enthusiasm for creating Dreaming in Indian: Contemporary Native American Voices (Annick 2014). This collaborative anthology features contemporary Native writers, artists, and teens sharing their experience of growing up Indigenous in North America. Read the guest blog post now. Enjoy this year's National Book Award Winner, Brown Girl Dreaming (Penguin 2014). In this audio recording, author Jacqueline Woodson shares why she wrote her novel-in-verse. 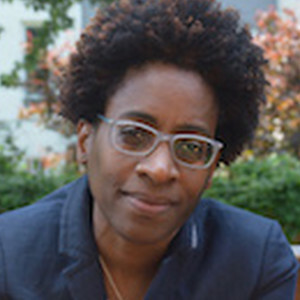 Listen to Jacqueline Woodson now. Browse all TeachingBooks.net Meet-the-Author Book Readings. No matter what season it is, your students are learning about the cycles of the year. This booklist, created by the Cooperative Children's Book Center, offers many titles to choose from. 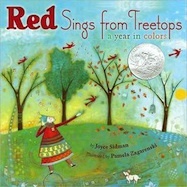 Explore this thematic booklist about the Seasons. Browse all TeachingBooks.net thematic booklists. 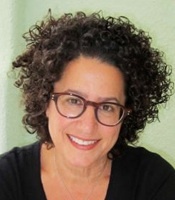 Caldecott-honored illustrator Marla Frazee shares insights into the characters found in her nearly wordless picture book The Farmer and the Clown (Simon & Schuster 2014). Learn more about the media she used to create the artwork. Listen to Marla Frazee now. See the December Contests & Giveaways on our blog. Thanks! Let us know how we can help you use and enjoy TeachingBooks.net. TeachingBooks.net | 800.596.0710 | info@TeachingBooks.net | Copyright © 2014. All rights reserved.